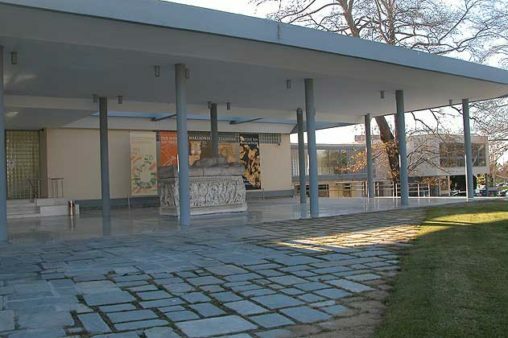 The Archaeological Museum of Thessaloniki. “Precious Metals and the Rise of two Macedonian ‘Greats’: Philip II and Alexander III” is the title of the lecture to be given by James Ross (University of Western Australia, Perth, Australia) on Wednesday, September 19, 2018, in the Archaeological Museum of Thessaloniki (6, M. Andronikou Str.). In just 23 years Philip II of Macedon led his kingdom from a small, threatened entity in northern Greece to leadership of the first land empire in Europe. Then, in the following 13 years under the leadership of his son, Alexander III, and with the support of a unified Greece, the Macedonians subsequently conquered the mighty Persian Empire and forever changed the ancient world. In the time of Philip silver, gold and base metals were much more valuable than today. We believe that Philip understood this exceptional wealth-generating capacity, and that his subsequent control and increased exploitation of the abundant precious and base metal resources in northern Greece and the Balkans provided much of the financial strength that transformed Macedonia into a kingdom with the wealth, leadership and military capacity to change the course of world history. When Philip became king in 359 BC most of these gold, silver and copper deposits were located outside his small kingdom and being mined by neighbouring Illyrians, Paeonians, Thracians, and Greek colonies, including the Chalcidian League. But in just 11 years Philip increased the area of Macedonia, gained control of at least eight mining districts, and established a bimetallic gold and silver currency. Macedonia was then the strongest and richest state in south-eastern Europe. In just six more years Philip almost doubled the area of his kingdom, and gained control over substantial gold, silver and copper resources in Illyria. The final stage of Philip’s rule, from 342 BC until his assassination in 336 BC, included his conquest of the much larger Thrace, with its rich mineral and agricultural resources, unification of Greece, and initiating war on Persia. In just one generation Philip changed Macedonia and Greece forever and established the political, military and economic foundations for Alexander’s conquest of the Near East. Philip deserves to be recognized as an exceptional figure in early European history and Alexander could not have changed the course of history without his father first changing it before him. Together they provide the key to the indelible impact of the Macedonians on world history and both deserve to be acknowledged as the “Greats” of Macedonia.